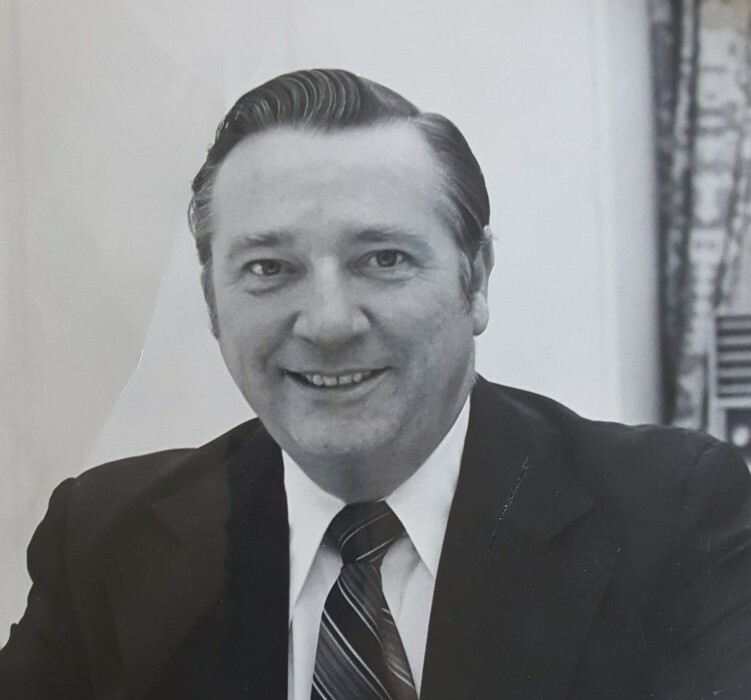 John “Jack” Grainger of Southbury passed away on July 16th at St. Mary's Hospital in Waterbury of congestive heart disease. He is survived by his children William Grainger and his wife Sarah of Gainesville, Fl. Pamela Kubilus and her husband Mark Kubilus of Melbourne, Fl. and Grandchildren Stephen and David Kubilus, Michael Wyatt, Melissa Silva, and Marguerite and Zachary Grainger. He is also survived by his stepchildren Mark Kacprowicz and his wife Sally, Karen Biernat and her husband Irek, Tim Kacprowicz and his wife Deborah, and his step grandchildren Amy and Pat Dillingham, Mary and Mike Ives, Brian Biernat, Krista Biernat, Julia Biernat, Emily and Jeremy Ludwick, Adam Kacprowicz, and Evan Kacprowicz. Jack was born in Kilbirnie Scotland July 2, 1928 arriving in America as an infant, he served in the U.S. Navy 1946-48, attended Brown University graduating with a BS in Psychology in 1952 and went on to a successful career as an advertising executive on Madison Avenue in NYC. He held various positions at the firms of Ted Bates, J. Walter Thompson, and Fones and Mann for a span of 45 years, retiring in 1997. He Married Joan Longyear in Sept. 1954, separated in 1979. Married Grace Kacprowicz in 1999 who he lived with in Ridgefield and later Heritage Village in Southbury. After the passing of Grace in 2015 he moved to Pomperaug Woods in 2016. He was an avid supporter and fan of Brown University football and a member of the Brown University Club of New York, a charter member of Bedford Hills Community Church where he sang in the choir for 30 years. Most recently, he was a member of St. James Lutheran Church in Southbury.